I use these rugs in high traffic areas in the kitchen. They are wonderful because they are skid resistant and wash up beautifully. Sorry, I can't think of one bad thing to say about them!! I use the rugs on the hallway of my living room. Ordered 2 of the blue. They match my kitchen décor perfectly. Good quality. Color true to the picture. Wash very well. I'm pleased with them. Very good rug for the price. They are brighter than pictured in the catalog. Because they are so light, they get dirty fast. Great Rug at a Great Price! Love this rug! Pretty design, well made and sturdy, nice backing too! And the pricing is wonderful! I was pleasantly surprised by the quality of this rug. I also was pleased with the color that I ordered. It was a darker beige than appeared on the internet and that was positive. Overall, very, very, pleased. I first ordered one rug in brown. When it arrived I liked it so much that I ordered a second that same day. I am using them in my kitchen at the entry door and in front of the sink. The rug at my entry has taken a good beating from all the ice and snow here. If I have to replace it eventually who cares the price is awesome and won't hurt my budget. Durable, decorative and delightful ! These rugs are great! WAshable, bright - don't wash-out as far as the colors. They look expensive but were very affordable. I had already purchased two of the smaller Floral Border rugs and decided I needed the longer one for along my kitchen sink and stove. They are perfect - fit perfect where I wanted them! They are very easy to clean and care for just by hand or a hand sweeper! And they are nice looking and sturdy! This was a very worthwhile purchase! I have a long h, narrow hallway, with entrances to several rooms. These rugs add color and life, protect the surface, and safety to the family. The only con is one of the five I have curles at one end. For the price, this rug is worth it. I've used these in several places in my house, including as an entry rug. It washes well. As I said above, nice. I have had the largest size in this blue carpet for many years now. They always cling to the kitchen floor. They wash in the machine like a dream. They shake out easily. They don't shed any threads. It's one thing I take for granted all the time. Happy that I can tell you what a great product they are; and hope someone reads this an enjoys them too. Thanks. I just love the 2 rugs I got from you people. All good. I would by this and more again! The quality is better than I could ever imagine and it adds a bit of a getaway to my living room well I come home I have to remember I am home! I have had two of the small rugs for a while now and ordered a larger size. I use them in front of the cat boxes to collect the litter off of my cats paws as they leave their cat box. It helps the scattering of litter all over the house. The rugs pile is not too low and not too high, just right for my purposes. They hold up very good in the washer and the rubber backing is still tacky after many washes. I bought 3 for my home and i plan on getting more. I use the product for safety in the kitchen and the bathroom as well. Absolutely love them! They are the perfect accent on both sides of our bed. I bought these rugs for my kitchen. Put the smaller one in front of frig and longer one in front of sink. They don't skid around. I have washed them repeatedly and they are just showing wear on bottom. I have had them for 2-3 years and I was even afraid they did not sell them anymore. I bought the blue ones first and I am now ordering the beige ones. The price is comparable to any other rugs like them. I hope they don't ever discontinue them, I will be very disappointed. I had a solid color in this hall, and was not sure about the design, but I needed a new rug. I have had so many compliments about it having the border, it really does make the hallway look better. I have purchased 4 of these rugs and they brighten up the bedrooms. The price is right and the sizes are just right as well. Needed new kitchen rugs and these were perfect! I bought this for my kitchen and have a green one in the foyer, I love the pattern. My husband spilled bacon grease on the kitchen one and it melted the back, so I will be buying another ! It's little big for my kitchen area, but the small was too small. I really like them and would recommend. pleasantly surprised. they were prettier than shown. colors are more vibrant. just had them a short time, so too early to comment on durability and ease of cleaning, but quality appears to be as good if not better than some purchsased @ say [...], etc. with free s/h they were a great price. It fits my needs perfectly - just what I needed for the area I used it in. Only fault is varying dye lots so rugs don't match each other! I am using it in the Kitchen don't know how good it will be after washing yet. 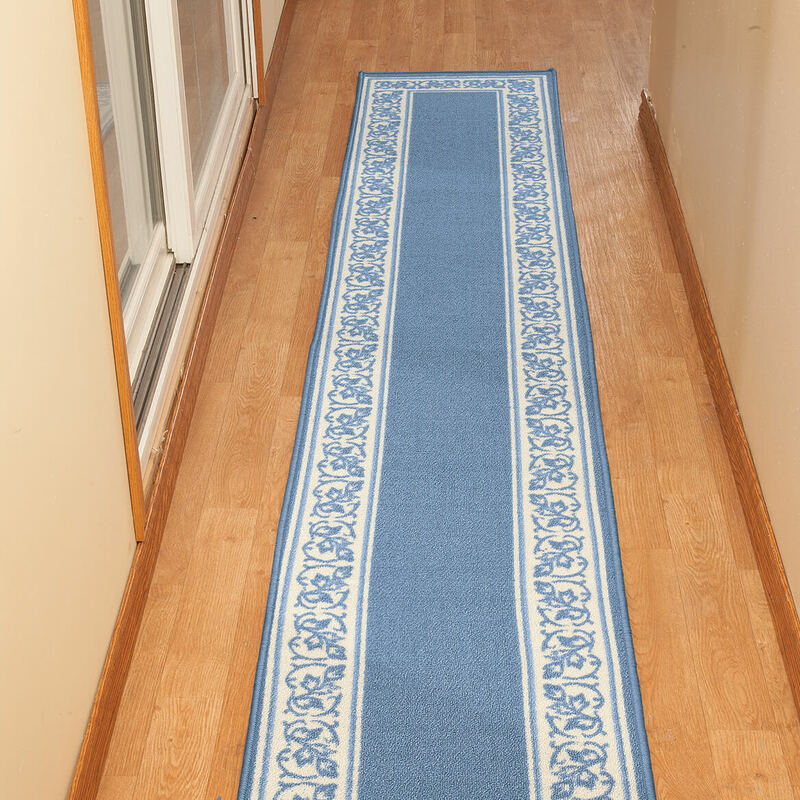 This rug is such a pretty color blue. It adds to the decor of my room. Thank you. We raise cats (Burmese) and have dogs, too. We use these in the computer room, and near the doors. They wear well, and altho they do get dirty, they can be simply tossed in the wash and come out nearly like new, over and over. Good value! 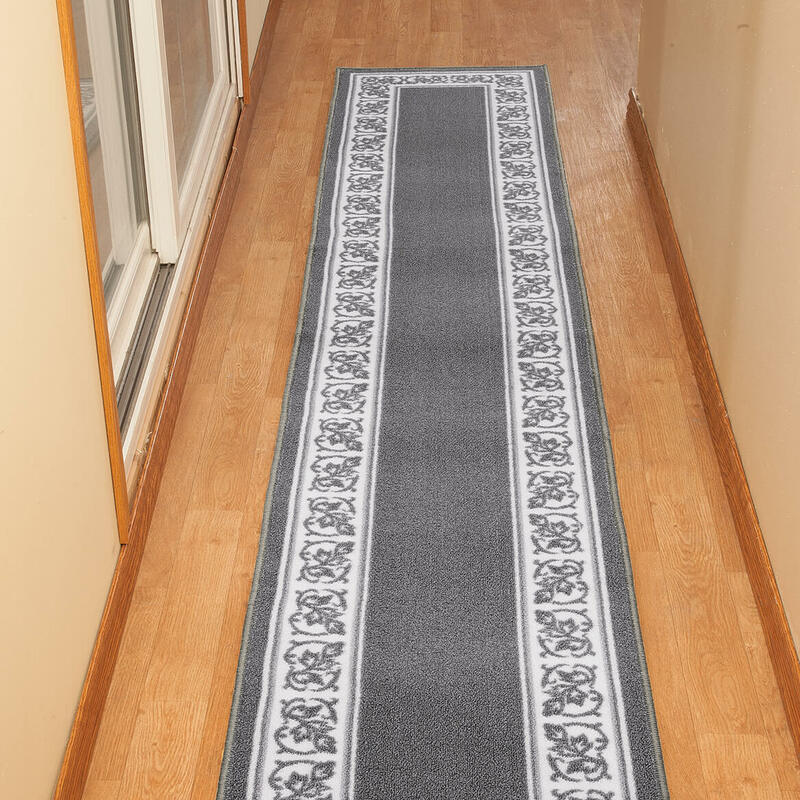 This rug is great for entry ways, it is pet friendly, holds up well and is very pretty. Pet stains roll off w/cold water applied. I am ordering more for other areas. This was perfect for just under the door in the latchway. Adds some sound-proofing and also fills gap. Very attractive and very practical. Very happy with this product. I bought 3 of these and loved them until the second washing when the edging came unraveled at the corners of all 3. Wanted blue & white rug, this is more blue & ivory. But it fits the area and lays well. I can't seem to get them to lay flat. I still have the folded lines in them. Also slippery, I'm afraid I might trip. But I like the design and color. I bought the rug to use on the floor in front of the cabinets/sink area. When it arrived I found it not to be very heavy. After having it on the floor for about a week, I found that it shows a lot of dirt and things like leaves and small pieces of whatever get stuck in the pile of the rug. I was just disappointed in it but can't find anything else that I like for this purpose. 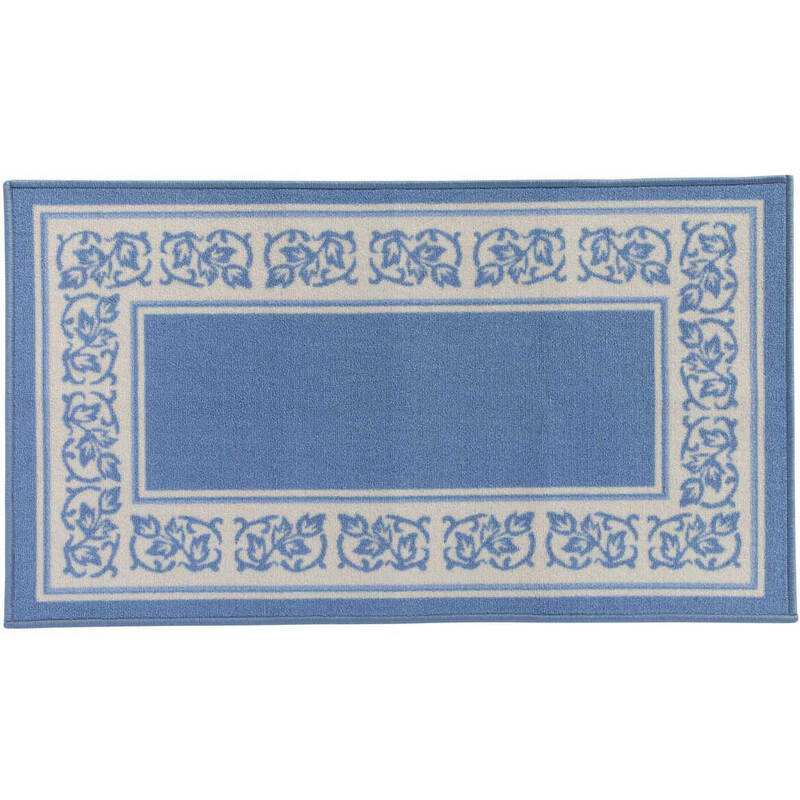 These rugs are attractive and the color matches what is in the catalog. They are not bulky so perfect for a smaller room. However the backing is so slippery they slide across both carpet and linoleum, making them an opportunity for falls. Looks pretty but not durable for kitchen use. I thought it was carpet not throw rug . I bought 3 of these and after washing them the second time the edging is unraveling. WAY, WAY to thin!! like walking barefoot. much too light on the floor, moves too easily. Also, the return policy is horrible. It takes up to 4 weeks for a refund after they receive the package. A similar rug ordered from Miles Kimball in the past is wearing out. I have a full set but the one this size is wearing out. It matches my bathroom & I need a new sink rug. Such a pretty pattern! Again, a great price. Need something under piano bench to protect floors. I really like the design and it is the perfect size for what I need. I've had these before and they were the best rugs! I was so happy when I saw them on sale so I bought a bunch!! New apartment requires new rugs. These are good quality kitchen rugs, long lasting and beautiful. Thank you for the Holiday Savings Voucher. 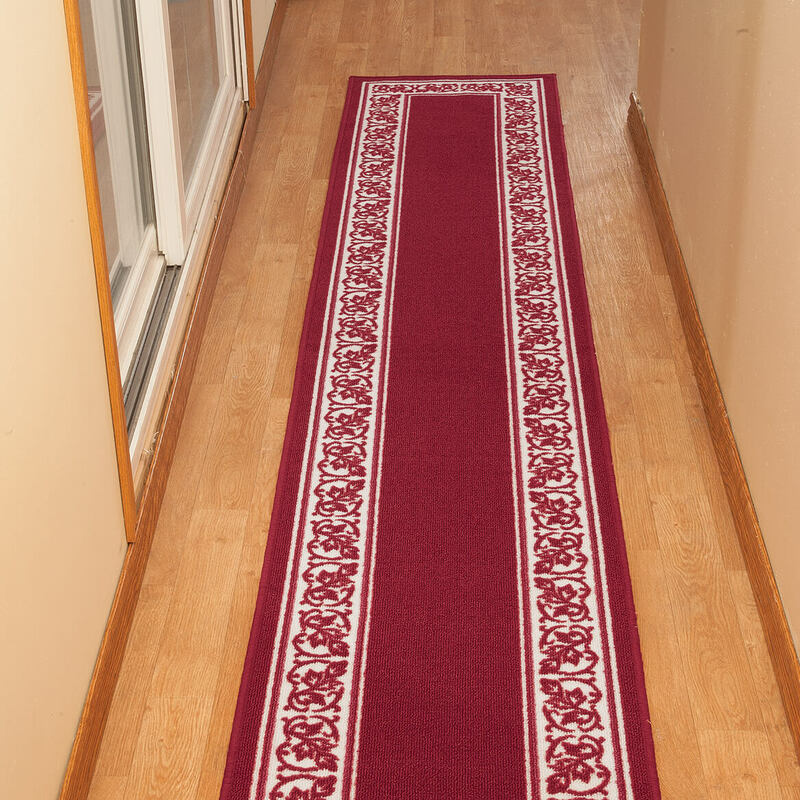 I have a small entryway and need a nice, nonslip rug to welcome guests. I needed a small blue rug to put down by my bed. Winter is coming and need this for the foot of my bed. I ALREADY HAVE THE LONGEST ONE. I NEED THE SHORT ONE TO MATCH IT. I LOVE THEM IN MY BATHROOM. Love the colors and just the right size I need. Liked the color and style. Need a rug for my dining area. I needed another rug and liked this one. color will match my decor and is the right size. Need more rugs for our Bathroom. 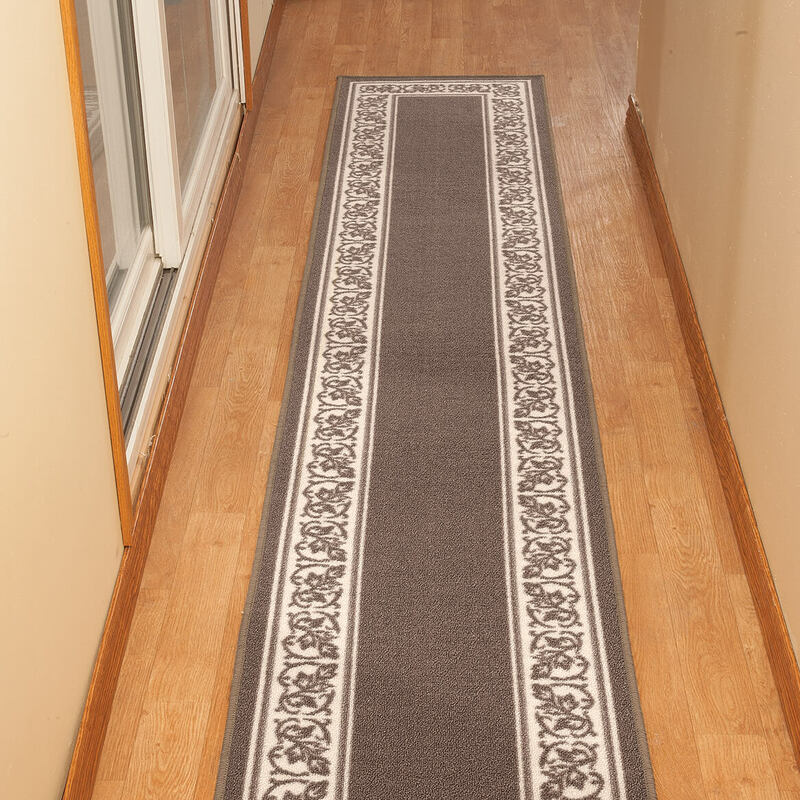 I have an entryway rug that needs replacing. My wife wants them for the back door. BEST ANSWER: Thank you for your question. This item is offered in three different lengths. We have included the sizes below. We hope this information will be of help to you.